Open daily from 11:00am until late. Kitchen open daily from 12:00pm to 9:00pm. 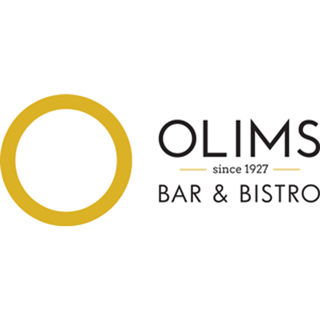 Olims Bar & Bistro is ideally located, on the ground floor of Mercure Canberra, on Limestone Avenue with a large beer garden overlooking Mount Ainslie. It is the perfect place to meet friends and family in a relaxing pub atmosphere. Get a team together for Trivia on Thursday nights, have lunch with your work colleagues or bring the whole family for one of our weekly specials. Olims offers a classic bistro menu, including our best selling chicken schnitzel. Come in and check out our daily blackboard specials. The kids won’t be disappointed with a great selection of kids’ meals, including their own mini sized chicken schnitzel. Olims Bar & Bistro offers TAB, gaming machines and bottle shop facilities are also available. My husband & I, together with 14 friends, dined at Olims  both nights of our stay. We all enjoyed the delicious meals. Good large portions. Very quick service. Great for a function or a small group. A very varied menu... something for everyone. And a huge shout out to the welcoming staff! Superb outing. Everyone was relaxed and enjoyed the meals and service immensely. A great place to unwind after a Conference. Had a private function there, the staff were wonderful and very accommodating. Will be back again next year. Quality of food and drink as well as the service were good. Price of the drinks, however, was a shock: a schooner of beer for $9 ?!! Food was tasty, service was friendly and prompt. Great classic old style pub! Food was ok. Quite reasonable price. Great food, service and no matter what we requested the staff went out of their to assist us! Great tasting food and huge portions. A little noisy but it was a Sat night and was packed. Which says it all really. The staff made our visit. They are a great asset to our experience. Aki and the barman at the time. Thank you. The tables were unclean and the food was well below normal ‘pub’ standard. The schnitzels tasted like rubber, the lettuce in the Caesar salad was inedible, old and slimy edges. Not a good eating experience at all. The chef even admitted the salad leaves were ‘inedible’. Had a function there and the staff were terrific and the outdoor area was great. They couldn't do much more to help. Big thanks to Nick, Rosa and the staff. Hopefully you will have us back. Good pub lunch venue. Great wait staff, from booking right through to the time we left I was always kept informed of details and menu etc. The girls serving are super friendly and efficient. This was the first time my friend had been there to eat in a number of years. She thought the meal was lovely. My Chicken schnitzel was cooked beautifully. I was a bit disappointed that my members discount was reduced to 33%, particularly as my meals consisted of one adults meal and two children's meals. It wasn't clear why the discount was reduced.